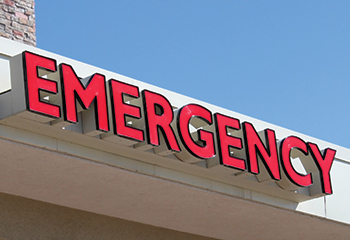 Why do some people visit the emergency room (ER) more than others? Further, what can clinicians, specifically, and the community, generally, do about it? These are questions a Beacon Health Options (Beacon) pilot program at its Connecticut Behavioral Health Partnership wants to answer. Through my work as an intensive care manager (ICM) in the Hartford area, I can suggest some solutions that hinge on the following: personalized support within the community; increased community awareness; and concurrent community planning through statewide Community Care Teams. often these individuals recant the need for crisis services, or simply reject the help offered by providers. Regardless of the reason, these members return with an unmet need, straining services and leaving providers frustrated at being unable to connect the patient to community supports. However, the frequent visitor program in Connecticut has shown there are solutions to these hurdles. In that program, an intensive care manager – a licensed clinician – is paired with a peer partner, unlicensed but with lived experience, to engage with these patients at various levels of care. As the member’s support system outside of the crisis setting, the team serves as a bridge to outpatient levels of care. The community has a role to play as well in reducing recidivism through an increased awareness of these individuals’ needs. The Hartford region is complex as there are two major hospitals co-located in a small geographic area, which means frequent visitors to multiple hospitals are often the recipients of more than one care plan. Further, when members go to both hospitals, neither hospital has a way of knowing about the visit to the other. The care-planning process then becomes fragmented, leading to duplication of discharge referral efforts and members unable to connect to care. The area needed a community-based solution. Community Care Team (CCT), a model established by Middlesex Hospital in Middletown, is a concentrated effort by a lead hospital and area providers to support a member’s care planning, treatment, and engagement in care. CCT meetings, with the member’s consent, allow the community to share knowledge about a patient to identify needs, review treatment goals, and break care barriers. The CCT infrastructure, both administrative and clinical, is significant and requires a large investment by Beacon, the hospitals, and community providers. Largely, at the CCT’s inception, the clinical presentations, facilitation, administration, release-of-information tracking, and care plans became part of the ICM and peer team’s tasks. The community has a role to play as well in reducing recidivism through an increased awareness of these individuals’ needs. In the Hartford area, the CCT meets biweekly to discuss specific patients with emergent needs, which allows the hospitals and outpatient providers to concurrently plan for a member’s needs. Therefore, when a member visits any community setting, a concrete plan has already been established via the CCT; regardless of where a member seeks care, the same consistent message will be shared with that member. The end result is that the community has taken an increased ownership of the process. There is no doubt about it. People repeatedly returning to crisis settings need support from the communities in which they live. Through innovative programs such as this one in Connecticut, Beacon is able to help do just that, supporting our members to live their lives to the fullest potential. Connecticut looks forward to how this project may reshape the future landscape of care to benefit our members and the community, and reduce recidivism in our state.